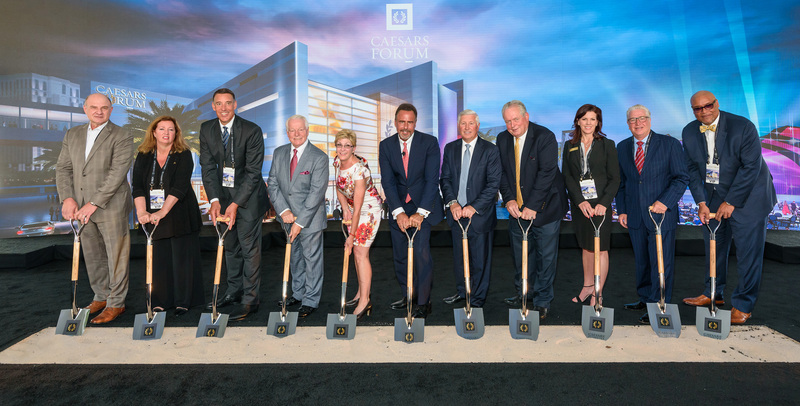 LAS VEGAS, July 16, 2018 /PRNewswire/ -- Caesars Entertainment Corporation (NASDAQ: CZR), the world's most diversified gaming and entertainment company, broke ground today on their newest development – CAESARS FORUM, a $375 million, 550,000 square-foot conference center in Las Vegas. Caesars Entertainment is an undisputed leader in the meetings industry having hosted more than 1.9 million meeting participants, 1.6 million room nights with 17,300 meetings and events in 2017 alone. "Caesars Entertainment has eight properties located in the center of the Las Vegas strip – more than any other competitor," said Mark Frissora, President and Chief Executive Officer for Caesars Entertainment. "With our geographic advantage, and the demand for meetings space exceeding available inventory, this project builds on our strategy to provide a value-add to meeting planners, guests and investors." Today's groundbreaking ceremony took place on the future site of the conference center, located directly behind The LINQ Promenade. For the first time, Caesars Entertainment shared a 360 fly-through experience of the conference center. President and CEO, Mark Frissora was joined on stage by Clark County Commissioner Chris Giunchigliani and other Caesars Entertainment executives for the official groundbreaking. Be conveniently located within walking distance to eight of Caesars Entertainment's Las Vegas properties. This announcement is the latest example of Caesars Entertainment's investment in developing new assets for the meetings industry. This spring, the company announced plans to bring the Caesars brand to two hotels in Dubai's Jumeirah Beach region and to the Puerto Los Cabos region in Mexico – offering conference space in key gateway cities. Last month, the company also broke ground on a new conference center at Harrah's Cherokee in Cherokee, North Carolina. 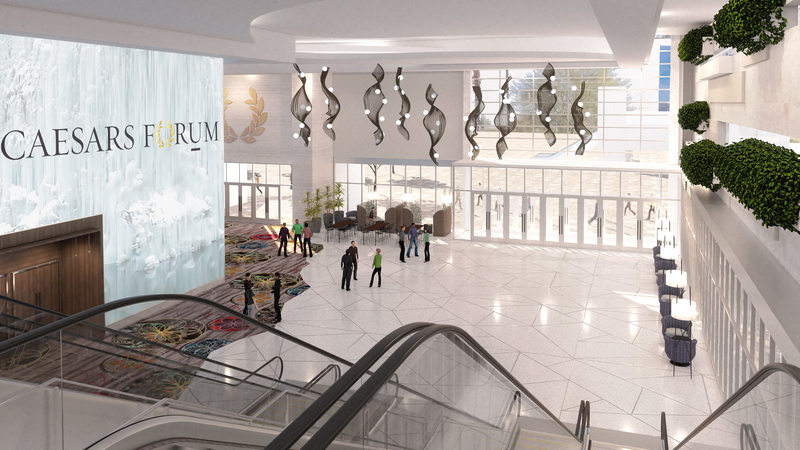 The $200 million conference center and hotel tower will feature a sprawling 83,000 square foot conference space, 725 hotel rooms, along with dining and retail outlets. In 2015, Caesars Entertainment opened Harrah's Waterfront Conference Center, the largest hotel conference complex from Baltimore to Boston.